If you have a query for Irion County, you may either email the county coordinator, or use the contact form below. Remember that the query MUST be related to Irion County or it will be deleted. Searching for the descendants of Davd H. Parker and Emily Beardsley. They were married in San Saba TX on 22 Nov 1870. David and Emily lived in Tom Green County and later made their home in Sherwood. David died 1907 (on his tombstone) or 1908 (state certificate) His estate was sold in 1913. Six sons survived. Their names: Geard C., Edwin E., Walter G., Sherman T., Victor L., and Baxter C. I am a descendant of David’s youngest sister, Charlotte Parker Rowland who lived in San Angelo. I have found a descendant of Geard but no one else. 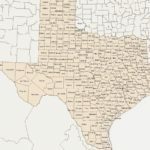 I am very curious to find out if there are any descendants left in West Texas. But would love to hear from any descendant of this branch of the Parker family. I am looking for a William Samuel HUNTER, (Sr.), born in 1826 in Tennessee. Family story says that he died in or around Tom Green County somewhere between 1872 and 1875. It seems that he died under unusual circumstances. In fact an older family member always said that he died, perhaps was hung, because of a horse trade. I am needing help me with a problem that has been perplexing me for a long time. My relatives were A. J. (Andrew Jackson) PAGE and his wife Catherine. They lived on Spring Creek in 1880 and are listed in the newspaper in 1886. That is the last I ever heard of them. However, their granddaughter in New Mexico inherited land from them via the sale to a William Lackey in 1910-1911, her name being Rose PRATHER, selling on behalf of her brother Eldo GOODWINE. I know that the name Lackey is still well known in that area today. Surely there must be a record of that land transaction going on in 1910-1911. A. J. and Catherine’s daughter, Commie, was married to Thomas GOODWINE in Dec. 1882 in Ben Ficklin. Any help you could provide would be greatly appreciated. I am sure that they must be on the tax or voting register sometime after 1880. Thank you. I am looking for more specifics on Allie A. DAVIS, 1832 – 1917, my gr grandmother, who is listed in your Sherwood Cemetery. Any guide lines will be most sincerely appreciated. Any help would be appreciated. I am looking for the grave of a Jasper James BARNHART or Jacob James BARNHART or Jay James BARNHART. I’m not sure, but think he was buried there around 1940 – sorry, the date could be way off. The spelling of the name was later changed to BARNHARDT, but I don’t believe he took that spelling. Would appreciate any info you could give me. I’ve been told that his brother had a very large cattle ranch in Barnhart Texas, if that is any help. My Great-Great-Grandfather James Moore McCALLA married Anna Eliza IRION (born 10/28/1825, Tenn.) in 02/02/1842. I found his and her graves in Cameron County. I am trying to get more information on Anna Eliza’s family. Hope you can help. Thanks. I am looking for information on Wyatt Anderson. I have found him on the census from 1900 and 1910 in Irion County. Any information will be appreciated. NOTE: Your query MUST be related to Irion County or it will be deleted. When posting a query, be as specific as possible, but please confine queries to Irion County. Make the county connection obvious, please.